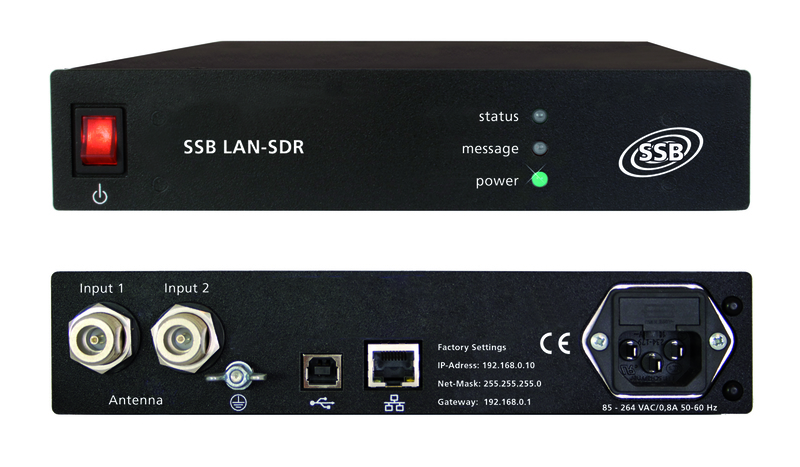 Front and back view of the SSB LAN-SDR receiver. 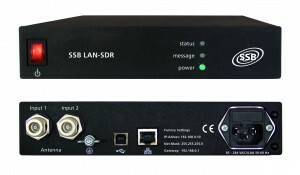 UPDATE: Click here to learn how you can test drive the LAN-SDR for free. Dan Srebnick published a very positive review of the SSB LAN-SDR in the July 2011 edition of Popular Communications magazine. This entry was posted in DRM, Made in Germany, Software-Defined Radios (SDR), SSB and tagged LAN-SDR, Made in Germany, SDR, Software-Defined Radios, SSB, SSB LAN-SDR. Bookmark the permalink.